We are very sad to learn today (Wednesday 8 January 2014) of the death of former Northern Ireland and Home Office Minister Paul Goggins, MP for Manchester Wythenshawe & Sale East. 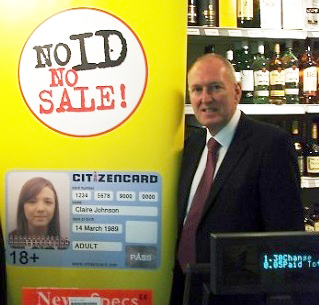 A good ally both of CitizenCard and the 'No ID, No Sale!' campaign. The Prime Minister this morning said Paul was 'kind and brilliant'. The Leader of the Opposition replied that the Labour Party had lost 'one of its best'. We offer Paul's wife, his three children and his friends and constituents our sincere condolences.